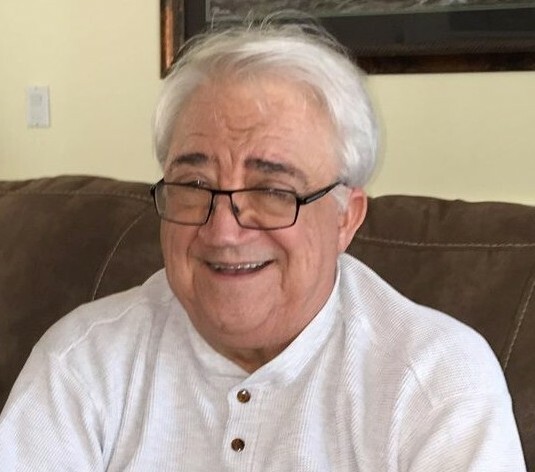 It is with great sorrow the family of Jarvis Byron Davis, of Cape Coral, Florida, announce his passing on March 15, 2019 due to a lengthy illness. Jarvis was born in Keno, Kentucky on August 31, 1941 to Beulah (Farmer) and Charles Davis. Jarvis graduated from Walter P. Chrysler Memorial High School, New Castle, Indiana on June 4. 1959. He entered the United States Army on August 5, 1961 in Indianapolis, Indiana and received an Honorable Discharge on August 4, 1964. Jarvis received his Associate in Arts Degree in Mathematics from the University of Maryland College Park on May 12, 1974. On December 23, 1977, he received his Bachelor of Science Degree in Computer Science from University of Maryland College Park, and on May 25, 1995, he received his Master of Science Degree in Computer Science from Johns Hopkins University G.W.C. Whiting School of Engineering, Baltimore, Maryland. From October 12, 1964 until his retirement on November 3, 1995, Jarvis worked for the National Security Agency (NSA) located at Fort George Meade, Anne Arundel, Maryland as a Software Engineer and Programmer. Jarvis and his wife, Charlotte, were married July 17, 2012 in Fort Myers, Florida. Surviving him is his loving wife Charlotte, his son Christopher Davis, his wife Susan and their family, his daughter Michelle Beever, her husband Kevin and their family, his step-daughter Kristine Ninkovich, husband Brad and their family, step-daughter Kathleen Peth and her partner Cathy Virga, along with his sister, Paula Davis, and brothers Dwight, Charles, Edwin, Mark and John Davis. Between Jarvis and Charlotte they have 10 grandchildren. Preceding him in death are his parents, Beulah and Charles Davis. Jarvis always had a love of music since his childhood and played with the Bayside Big Band when living in Maryland along with three other bands while living in Florida. His main instrument was the baritone saxophone but he also played soprano, alto and tenor sax. In Maryland he was involved with the Boy Scouts earning the Wood Badge and Ordeal Member of Order of the Arrow. He enjoyed cooking, caricatures drawing, painting ceramic Christmas ornaments, computers and travels with his wife Charlotte. They loved their trips to visit with family, several trips to Williamsburg, Virginia, Washington, D.C., Branson, Missouri, the Florida Keys, and Vermont. Jarvis was always a very kind hearted, gentle, supportive, honest and giving person, thinking more of others than of himself. He always made people feel comfortable in his presence and then there was always that “Smile”. burial at Mount Union Cemetery, Keno, Kentucky. Charlotte and family wish to express their deepest thanks to all the caregivers at Cairn Park, 2003 Academy Boulevard, Cape Coral, Florida for all the loving care they gave to Jarvis while he was living at the Memory Support Facility. In memory of Jarvis, please send a contribution to Alzheimer’s Association at their website, www.alz.org or to their home office address at 225 N. Michigan Avenue, Floor 17, Chicago, Illinois 60601.